1) The glasses are really cumbersome and expensive, and you don’t want to accidentally sit on one or lose it. Plus, it takes away the simplicity of television as it stands today, where you simply hit the remote and start watching. 2) Also, without the glasses, any 3D content is completely unusable. The screen has been calibrated to work with 3D content and so dropping the glasses would end up displaying garbled images. Recognising these limitations, several companies like LG and Panasonic are working on making autostereoscopic 3D TVs, where the user is free of any special accessories. But before going on, here’s a recap of the one basic preface needed in understanding 3D television: understanding how our eyes work. 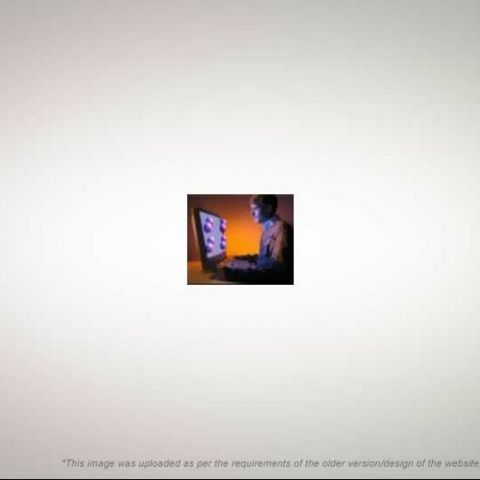 For the sake of this example, look at your computer mouse (or if you’re on a laptop, any other three-dimensional object nearby). In a nutshell, your left eye and your right eye are two separate lenses, registering two different angles of the mouse. The two eyes send the two differently-angled images of the mouse to your brain. The brain then acts as the ‘image processor’, putting the two pictures together to come up with one three-dimensional picture in your mind. It’s basically the same principle by which the new FujiFilm FinePix 3D camera works. Autostereoscopic 3D television sets work on a similar principle, with two main technologies that rely on it: lenticular lenses and parallax barrier. 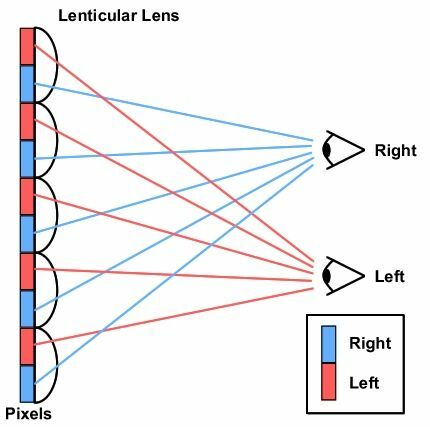 The less popular of the two autostereoscopic models involves the use of lenticules, which are tiny cylindrical plastic lenses. These lenticules are pasted in an array on a transparent sheet, which is then stuck on the display surface of the LCD screen. So when the viewer sees an image, it is magnified by the cylindrical lens. To see how this works, roll up a newspaper or magazine (we recommend Digit!) into a cylindrical shape and hold it up in front of you. Now, with your other hand, cover your left eye. Notice the text and pictures that your right eye can see. Then uncover your left eye and use your hand to obstruct your right eye. Naturally, given the two varying angles, you will see a bit more of text and pictures on the extreme left side when you look with your left eye, and vice versa. By combining these two images, our brain can perceive depth. Similarly, when you are looking at the cylindrical image that the TV is now showing you, your left and right eye see two different 2D images, which the brain combines to form one 3D image. However, lenticular lenses technology is heavily dependant on where you are sitting. It requires a very specific ‘sweet spot’ for getting the 3D effect, and straying even a bit to either side will make the TV’s images seem distorted. Depending on the number of lenticules and the refresh rate of the screen, there can be multiple ‘sweet spots’. The other major method to enable autostereoscopic output is called the parallax barrier. This is being actively pursued by companies such as Sharp and LG, since it is one of the most consumer-friendly technologies and the only one of the lot which allows for regular 2D viewing. 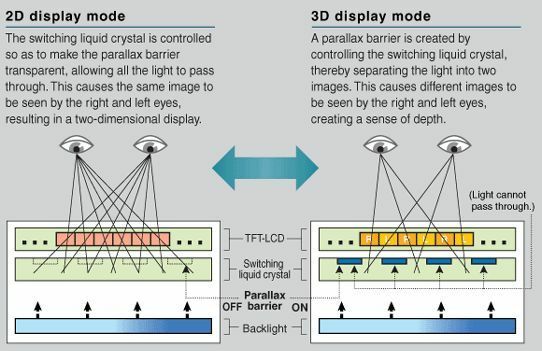 The parallax barrier is a fine grating of liquid crystal placed in front of the screen, with slits in it that correspond to certain columns of pixels of the TFT screen. These positions are carved so as to transmit alternating images to each eye of the viewer, who is again sitting in an optimal ‘sweet spot’. When a slight voltage is applied to the parallax barrier, its slits direct light from each image slightly differently to the left and right eye; again creating an illusion of depth and thus a 3D image in the brain. The best part about this, though, is that the parallax barrier can be switched on and off with ease (one button on the remote is all it would take, according to Sharp), allowing the TV to be used for 2D or 3D viewing. 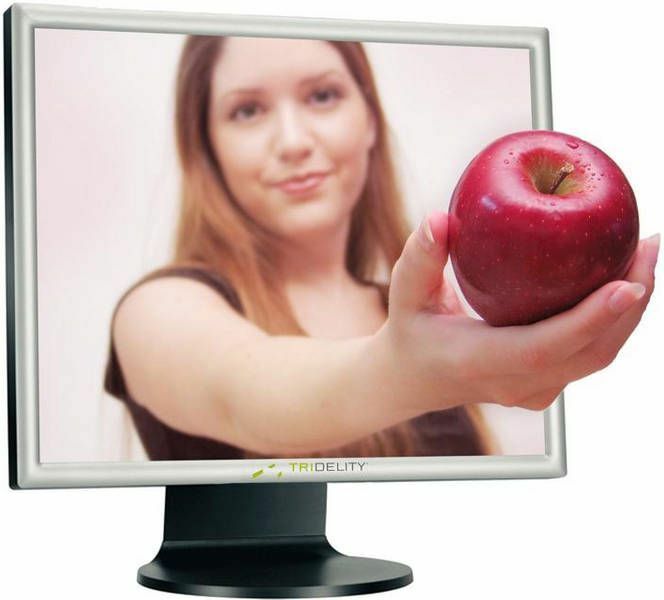 So on a computer monitor, you could play video games in full 3D glory and then easily switch to 2D mode for your work requirements. While the wide range of content it offers is heartening, again, the need to sit in the precise ‘sweet spots’ hampers the usage of this technology. Still, there are quite a few companies finally looking to make 3D TVs a reality. In the upcoming third part of this series, we will take a look at some of the brands and products that promise to bring next-gen content to your living room.